Monday- Open Mat. 5:45-6:30 for beginners. 6:30-7:15 for experienced wrestlers. We encourage everyone to attend and gain some valuable mat time. We will be recording the weights of the wrestlers who did not make it to practice last week. Wednesday- Booster Club Meeting. Held in the Zumbrota High School Library starting at 6:30 PM. Come and help build a great wrestling program at ZM the right way. Friday- 5002 Club Recognition Night and ZM Home Tri. Calling all 2014 5002 Club members! Your night to be recognized in front of the home crowd is this Friday. We’ll provide details at practice Monday night as to what time you should arrive. Everyone is encouraged to attend and cheer on the Cougars! Scrimmage Dec. 9th: Please try to sign-up your wrestler by tomorrow night on the sheet in the wrestling room just to your right as you walk in. 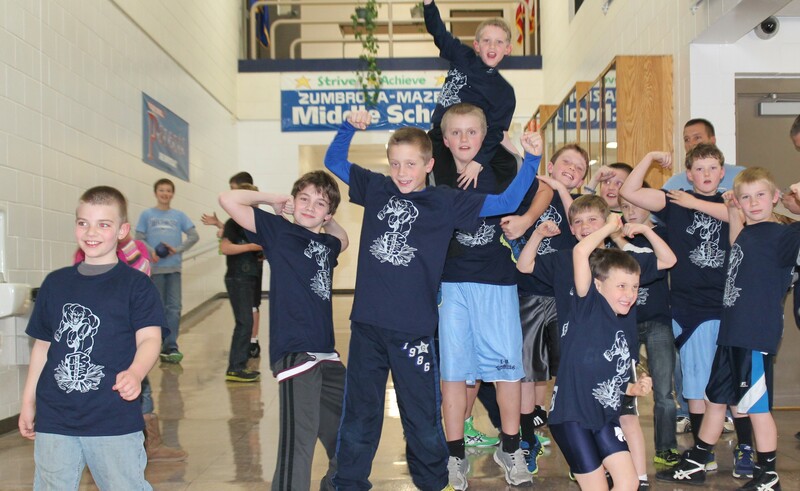 Upcoming Tournaments: Burnsville on Friday, Stewartville Saturday, and GMLOK on Sunday. 2013 5002 members showing off! December booster club meeting is TONIGHT, Dec 4 @ 6:30 in the Mazeppa library. The next ZM Wrestling Booster Club meeting will be held Wednesday, November 6th @ 6:30 in the high school media center. What: As a group we work together on building a great wrestling program at ZM the right way. Please sit in as any wrestling parent is invited! The more the better!